Even the King of Wakanda got dethroned on Rotten Tomatoes when Black Panther got its first negative review, but John Krasinski’s new horror movie A Quiet Place still maintains a perfect rating of 100 percent Certified Fresh at 33 reviews and counting. Rest assured that even when A Quiet Place does finally pick up an inevitable negative review, it’ll remain one of the best sci-fi horrors of the decade. As of this writing on Friday, March 30 A Quiet Place maintains a perfect critical rating, which is rare for any film to achieve. When this does happen, it’s almost always before a film’s official release. If the streak continues long enough, that means A Quiet Place could achieve something that not even Black Panther could in its time. It’s tough to say based on the timing of published reviews, but Black Panther made it to at least 43 positive reviews before its reign ended. A Quiet Place almost definitely won’t compare to Black Panther’s financial success, but this rating is still hugely noteworthy. Here's a sampling of what some reviewers had to say on Rotten Tomatoes. In the review I wrote for Inverse earlier this week, I called A Quiet Place “the most inventive horror story in recent memory.” Reviews across the internet echo as much. 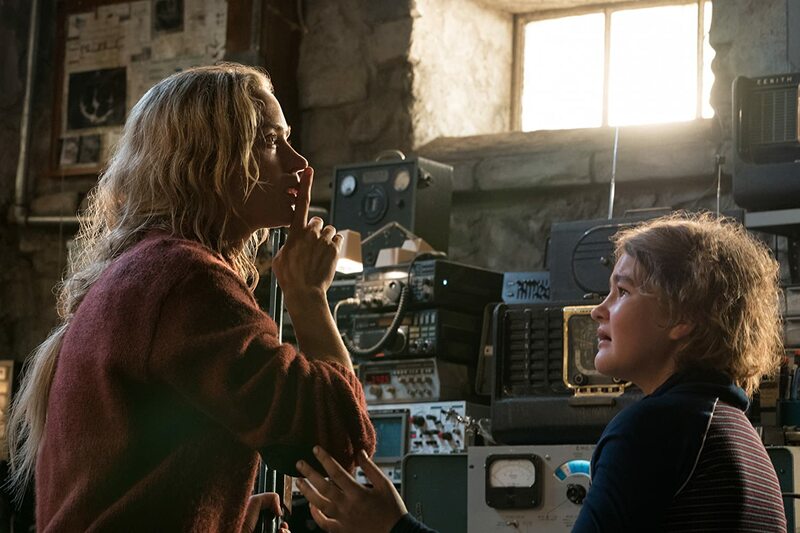 To use the words of Bryan Woods — one of the film’s screenwriters — from a press event in March, A Quiet Place succeeds in “weaponizing sound as a tool of fear,” essentially making noise scarier than the monsters in this world. The tensions builds out from there. One can’t help but compare A Quiet Place to Annihilation, this films other excellent sci-fi horror. But whereas Alex Garland’s cerebral mindfuck alienates some viewers with its literally alien story, A Quiet Place focuses more on defining a family’s humanity in a world where humanity itself is destroyed. It’s only a matter of time before one grumpy film reviewer sees A Quiet Place and complains about having to read subtitles of the characters doing sign language, or about the fact that this isn’t a Cloverfield movie, or perhaps even that the film is too short. But rest assured, if you’ve ever liked M. Night Shyamalan’s kind of horror in Signs but wished it were more earnest and human, than A Quiet Place might become one of your all-time favorites when it comes out on April 5.